How long does cannabis stay in your system and what can you do about that? So you’ve just landed your perfect job, but there’s a problem. You vaporized a little cannabis last night and now realize that you’ll have to pass a mandatory drug test before you’re hired. But, maybe you’re in the clear. After all, how long does cannabis stay in your system? How long does it stay in your urine? Is there anything you can do to detox? As it turns out, the answers to these questions are bittersweet. While cannabis may not stay in your system for as long as you might think, it can be difficult to detox from the herb. Most U.S. employers test for cannabis. Unfortunately, workplace drug-testing has become standard for employment in the United States and is a major point of contention in Canada. Whether or not this is ethical has been up for debate since workplace drug testing became commonplace after 1986, when the Reagan administration decided to crack down on drugs after a wave of heroin use following the Vietnam war. In 1999, a report from the American Civil Liberties Union analyzed the real value of mandatory workplace drug testing. The report discovered that “junk science” has fueled much of the philosophy behind workplace drug testing today. Specifically, the report took aim at research conducted by the U.S Federal Government in 1986, when mandatory workplace drug testing was first introduced. The study reported that drug use resulted in $33 billion in lost productivity annually. However, this research failed to look at real productivity data. Instead, researchers came to this conclusion after observing that households of cannabis consumers tended to have a lower annual income than those that did not consume the herb. Is this research an accurate way of testing for productivity losses? No. There are numerous socioeconomic factors that may contribute to this outcome, which were not adequately evaluated. Still, in the time since, workplace drug testing has only become more common. Now, an estimated 86 percent of employers routinely test their employees for cannabis consumption. Only one state, Maine, has made it illegal to punish employees for using cannabis during their free time. This legislation became effective on February 01, 2018. For others around the globe, mandatory workplace drug testing is a reality that can be difficult to overcome. How do you feel about workplace drug testing? 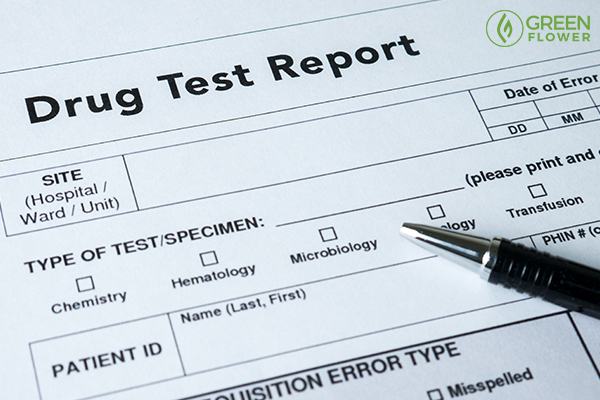 There’s a reason why workplace drug testing can be so frightening to cannabis consumers. Unlike many commonly abused drugs and intoxicants, cannabis compounds like THC can stay in your system for quite a while. “The common lore is about a month,” explains Dr. Jordan Tishler. Tishler is a Harvard-trained Holistic Care Specialist with a special interest in medical cannabis. He's also the founder of Inhale MD, which specializes in cannabis therapeutics in the Boston area. This “common lore” is backed by some real evidence. A 1989 study, for example, found that cannabis compounds could be detected for up to 25 days after smoking in heavy cannabis consumers. However, these averages come with several huge caveats. Why does THC stay in your system so long? Our bodies store the THC we consume, recognizing it as a beneficial molecule. Simply stated, cannabis compounds stay in your system so long because of how they are stored in the body. The cannabinoids found in the cannabis plant are lipids, meaning that they are dissolved in fat instead of water. This property means that it may take longer to clear cannabis from our system than many other, water-based compounds. Summarized, cannabis compounds like tetrahydrocannabinol (THC) can take a while to clear your system because excess THC is stored in fat and then re-released into the blood as that fat burns. These persistent low blood levels mean that these compounds are eventually excreted through urine. Though, because they are fatty molecules, they’re mostly cleared from the body via stool. In contrast, many recreational drugs, like amphetamines, quickly leave the body via urine. Cannabis, however, hangs around for a while. Why Not Join An Industry That Will Never Drug Test You? 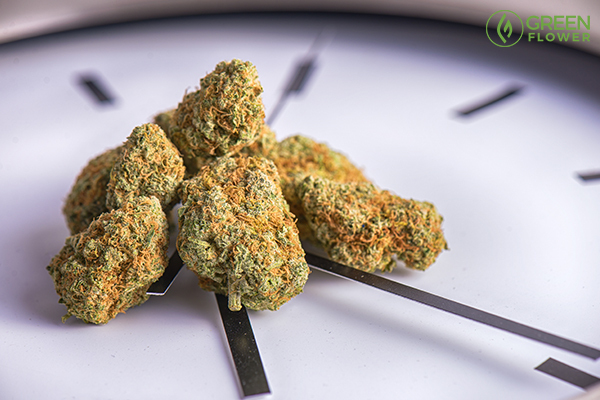 Apart from the averages, there are several factors that may influence how long THC stays in your system, including body fat and the total amount of cannabis you consume. Since cannabis compounds are stored in fat, those with greater amounts of fat likely have greater storage capabilities. The amount you consume and how frequently also contribute to how long THC stays in your system. The more you consume and the more often, the longer it will take to clear cannabis compounds from your body. As Tishler suggests, those who consume daily will likely face greater clearance times than those who enjoy the herb only on occasion. Yet, even with these factors in mind, every individual will still process cannabis at their own rate. How do labs test for cannabis in your system? Some cannabis consumers refuse jobs that involve drug testing. Urine testing is the most common drug test. 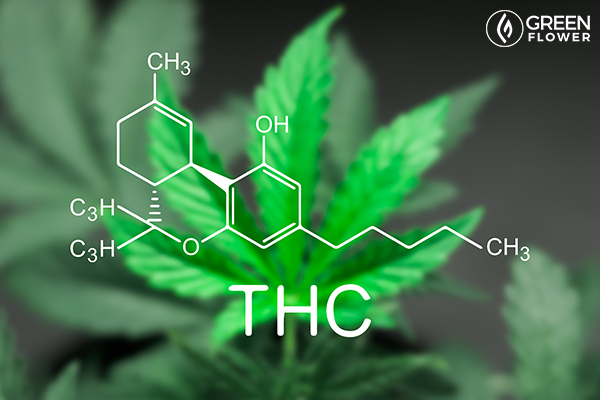 In a urine test, laboratories are testing for the presence of THC metabolites. Metabolites are breakdown products of THC, indicating that THC has been processed by the body. Specifically, laboratories are testing for the presence of a compound called THC-COOH. For most urine tests, the presence of more than 50 nanograms of THC-COOH per milliliter of urine will trigger a positive test result. After the 50 nanogram limit is triggered, a laboratory may test the sample again with a smaller detection point. The second detection limit is typically 15 nanograms per milliliter of urine. 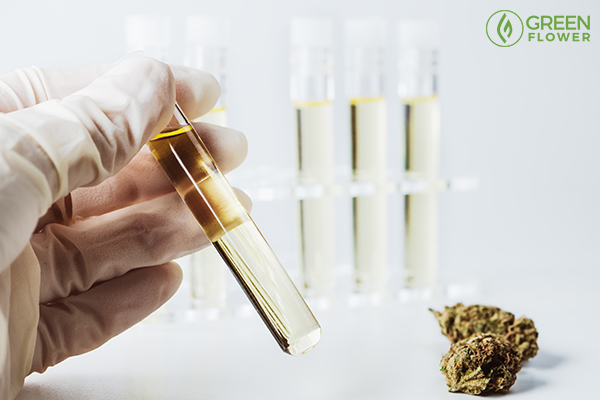 Blood testing for cannabis metabolites is not as common as urine testing. However, blood tests are now used by police officers after roadside stops to determine whether or not a person is impaired. For many blood tests, testing with more than 5 nanograms of THC per milliliter of blood will cause you to fail a test. Unfortunately, THC metabolites can be detected in blood for two to seven days after smoking for regular and chronic consumers. For single-use consumers, the detection time is around 12 to 24 hours. During this time, a person may not be impaired in any way even though THC metabolites are present in the blood. Have you ever submitted to a hair test? In the great wide world of drug testing, hair testing for cannabis is nowhere near as common as urine and blood testing. 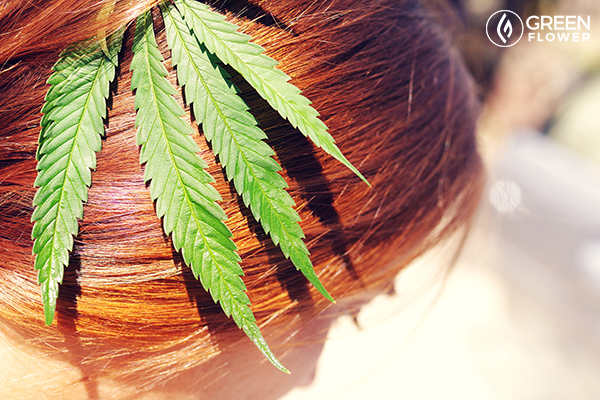 Cannabis metabolites can be detectable in hair tests for months after consuming. However, the cut-off point for hair tests is usually within 90 days. Hair samples are collected close to the follicle root and a small segment of the hair is selected. Since most hair grows at a fairly consistent rate, the average hair sample will look for the presence of cannabis use over the most recent 90-day period. There are numerous detox pills, drinks, and products out there that claim to either rid your body of THC or mask cannabis compounds. However, Tishler has a few words of wisdom to share about these quick-fix remedies. These drinks can also sell for top dollar, sometimes reaching between $30 and $60 for a single product. Yet, due to the way cannabis is metabolized and stored by the body, these detox methods are highly unlikely to work. In fact, most of them simply contain compounds that alter the color of urine (like riboflavin) and increase the amount of creatine in urine after a consumer drinks several liters of water to dilute their sample. Unfortunately for many, this last-ditch effort is often futile. As mentioned above, cannabis metabolites are mostly excreted via stool. 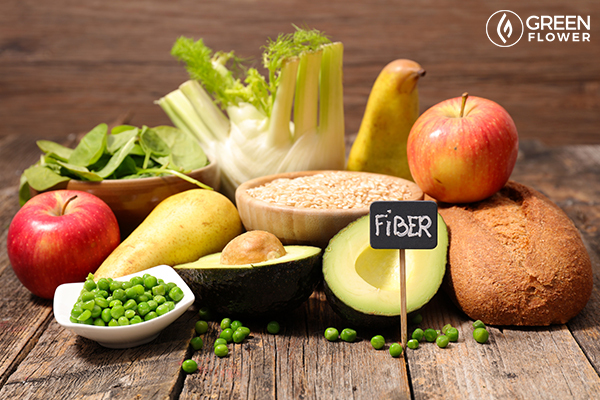 Eating diets high in fiber helps emulsify and clear lipids in the digestive system. Fruits high in pectin, like pears, apples, and citrus fruits, may be especially beneficial. This fiber then carries lipids out through the stool. However, this is only really beneficial for those who have recently eaten cannabis-infused foods. Yet, eating a high fiber diet is good for your digestive tract and encourage healthy gut microflora, so this is a safe way to support your body in “detoxing” itself. Exercising the day of a workplace drug test may not be the wisest idea, however exercising earlier in the week before a drug test may be helpful when trying to detox from cannabis. Activity and exercise burn fat, which then releases stored cannabis metabolites back into the bloodstream. Once released, these metabolites can be more readily removed from the body over the course of the day. Are you keeping hydrated generally? 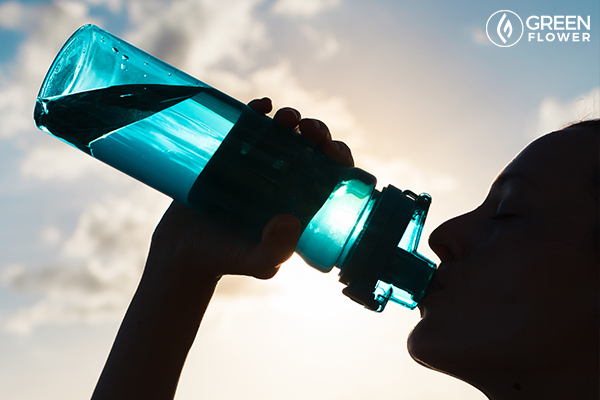 Staying hydrated is another wise idea prior to a urine or blood screening. While drinking too much water can dilute urine before a screening and render it inaccurate, staying hydrated will ensure that you’re eliminating THC metabolites as quickly as the body is naturally able. When trying to eliminate THC from the body, going back to the basics can do a lot of good. Eating well, getting ample exercise, and drinking plenty of water are some of your best bets for a safe and clean drug test. However, while cleaning up your diet and lifestyle may help immensely, it is still possible to fail a test if you have been consuming cannabis. Will CBD cause you to fail a drug test? CBD lovers need to pay attention here, too. Most routine drug screenings test for a THC metabolite, not cannabidiol (CBD). 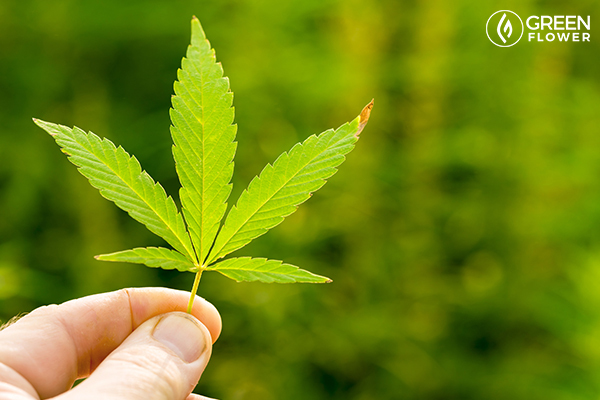 While CBD is a common cannabis component, it is non-intoxicating. For this reason, most standard workplace drug tests do not look for CBD metabolites. However, when you consume extracts from high-CBD plants, there is always a chance that some minute amount of THC will be present in the extract. When used regularly, it is possible, though sometimes unlikely, that this THC can build up in your system and cause you to fail a drug test. Those concerned about this issue may want to consider opting for products made from purified CBD isolates or rigorously read testing labels to ensure that their products do not contain THC. A high-CBD flower found at a local dispensary or care center may still contain enough THC to cause you to fail a drug test when consumed frequently over extended periods of time. Tired of Drug Tests? Join the Green Side! Should workplace drug testing be abolished?